You are invited to the AERA/IEL Education Policy Forum featuring Sharon Robinson. The event is on Friday, March 17th, 12-2 pm at IEL. In July, Sharon Robinson will be retiring. She will be concluding one more installment of a fulsome career encompassing education research, education policy, and education practice. She has agreed to meet with the Education Policy Forum to discuss her hard-won experiences and well-honed perspectives about scholarship, education policy, teacher education, and citizenship. Dr. Robinson has provided leadership to the AACTE as president and CEO since 2005 – the most recent stop along her journey. Among her previous leadership positions are included: assistant secretary of education for the Organization of Education Research and Improvement (now the Institute of Education Sciences); president of the Educational Policy Leadership Institute of the Educational Testing Service; and director of NEA’s National Center on Innovation. A lifelong civil rights activist, Dr. Robinson has in each of her professional positions worked to realize our nation's moral and professional responsibility to educate and maximize the potential of all students, especially those with disabilities and racial/ethnic minorities. 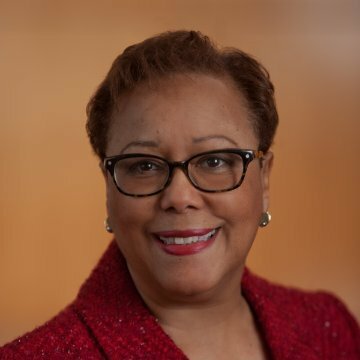 She has been a good citizen in each of the organizations with which she is associated, serving as a frequent committee member for programs of the AERA and the National Council for Measurement in Education, and serving on the board of the PDK Educational Foundation and the Learning First Alliance. Location: Institute for Educational Leadership, 4301 Connecticut Ave, NW, Suite 100, Washington, DC 20008. Closest Metro station is Van Ness-UDC (red line). Parking is available in the building's garage for a fee. Required reservations may be made online by Wednesday, March 15th. Limited available seating is assigned according to the order in which reservations are received. Thirteen dollars for the subsidized lunch will be collected at the door (cash or check only).